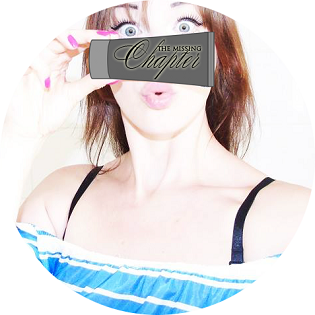 The Missing Chapter - London Lifestyle Blog: 5 steps to a successful blog advertisement. 5 steps to a successful blog advertisement. My 5 simple steps to a successful blog advertisement. Make your blog your fulltime job. Treat it as you would with a 9am-5pm shift! Get up early morning and invest time into improving and promoting your blog - your brand. Believe me there will be a lot of obstacles in your way as it is extremely easy to get distracted or lazy around the house. Focus on where you'd want to see your self as a blogger this time next year and work hard for it! Advertise - don't spam! I think we've all been there at one point, spamming people's inboxes, leaving annoying and harassing comments under your internet friends every photo. Oh gosh! How embarrassing, now to think about it. The reality is - no one will ever click that link, would you? Build relationships with people and other bloggers, show interest and pay attention to what they've got to say instead of jumping straight to the point! Google+ is my favourite yet super under rated way to connect with people around the world. With its' never ending number of 'collections' where you can discover thousands of people who share the same interest as you and connect with them. Invest money into your blog! This has extremely paid off and worked magic for me and other bloggers and brands that I've discussed this with previously. Simply purchase an ad on facebook or Instagram where you are given the option to target the audience who are the perfect fit for your blog and who tick all of the boxes. You can choose their gender, age group, location and things they are interested in. Advertising your brand does not end here - on the internet. Physical promotion is just as important as virtual one. From business cards, flyers, leaflets, posters to customised t-shirts that you can wear when attending an event or even just when heading out for a meal with a friend. Printsome offers printed t-shirts in London, with the option to have your products delivered within 24 hours! And remember - always look on fleek when rocking it! You want people to notice, write down and visit that link imprinted across your top, therefore first impression is always important. Guest posting. Another amazing way of advertising your blog by writing and publishing an article on someone else's website or blog. Offering this service will allow you to introduce your blog to audiences that you want to speak to. It's a great way to connect with new readers and get your name out. Do your research and pick the right brand or blog to ensure you are reaching out to people who will be interested in your content. Run a giveaway. Giveaways can be extremely beneficial, whether it is on your own or by partnering with other brands. Write up the 'terms and conditions' that will benefit your audience growth the most and let your readers follow the instructions to enter the giveaway! What are your ways of advertising your blog?